How Far is CC SP Palace? SP Palace is one of the popular residential developments in Singaperumal Koil, neighborhood of Chennai. 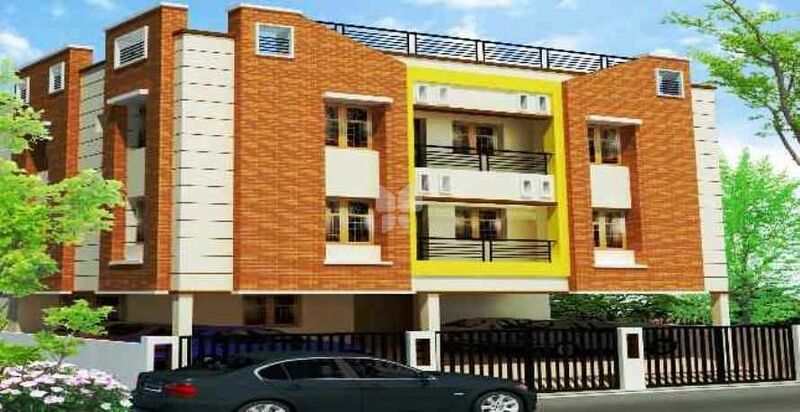 It is among the ongoing projects of CC Builders P Ltd. It has lavish yet thoughtfully designed 6 residences. R.C.C. framed Structure on Columns beams and slabs supported on independent foundation. Structural designing done by well experienced structural consultant as per soil report. 9" Brickworks - 1: 5 ratios Cement Mortar with 1st quality table molded bricks used for external walls. 4½” walls - 1: 3 ratios Cement Mortar with 8mm rods or 4½” Steel plate for every 3 layers of bricks for partition walls. D.V.D. player 5.1 (4 speaker point). D B box with circuit breakers and 3 phase changeover switches. Iron box power point provision. Mobile charger power point provision. Fan point with 2 way control. Black Granite slab with beading. One metro water and one bore water tap provision. Exhaust fan provision& Ventilator with luver glasses. Flooring - Anti-skid tiles. 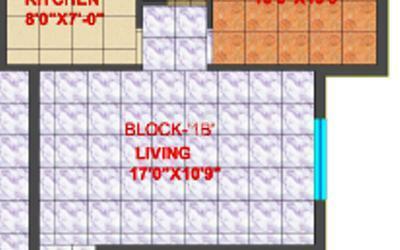 (12” x 12” ) ( Rs.25/-per Sqft). Main door – Teak wood frame with panel designed doors. Main door – Eye viewer, Brass tower bolt, Bullet lock (links or godrej locks), safety chain, door magnet, modular handle. Bedroom doors– Teak wood frame with designed doors (one side O.S.T. & other side enamel paint). Toilet door – Teak wood frame with water proof coating shutter and both side enamel paint finish. Windows – UPVC frame with fixed grills and fully pinhead glassed shutters. Interior wall fully 2 coats of putty one coat of primer with 2 coats of Royal Emulsion Painting. We at CC builders strive always to build homes to satisfy the deepest desires of our clients. For Us, Quality is always non-negotiable.We are stringent in adhering to standards and processes at each stage of construction, realizing benchmarks. Our finest standards of business practices make all our endeavours a success.Strong teamwork, dedication and sheer hard work are what we preach. Talented professionals, highest technical knowledge and our after sale support altogether make your each day better with us.